Huey Long (1893-1935) was Louisiana's legendary populist Governor, U.S. Senator and favorite son. Poised to run for president on his “Share Our Wealth” platform, Long was assassinated in 1935 at the age of 42. From an early age, it was evident that Huey Long was a true original. A bright, inquisitive, and feisty child, he would grow to become the most famous – and audacious - public figure ever produced by the state of Louisiana. 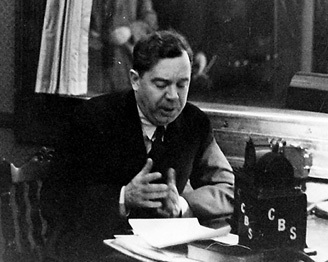 Blessed with a brilliant mind and photographic memory, Huey Long easily circumvented the many barriers to education in Louisiana and managed to become a lawyer without receiving a single diploma. 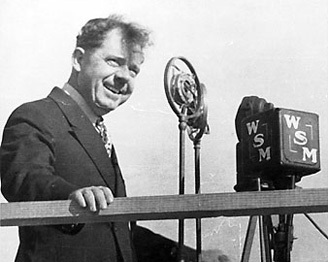 Huey Long began his career as a traveling salesman, displaying a knack for connecting with the common man, a skill he would later apply as a young attorney defending the disadvantaged. At age 25, Huey Long made a splash in Louisiana politics on the Louisiana Railroad Commission, fighting corporate monopolies and reducing utility rates. In his second run for governor at age 34, Huey's revolutionary campaign toppled the corrupt political establishment that had ruled Louisiana since the French. Huey Long was elected Governor of Louisiana in 1928 by the largest margin in the state’s history. In the face of entrenched opposition from the old guard, he launched an unprecedented program to build the state’s infrastructure and provide education and economic opportunity to the masses. 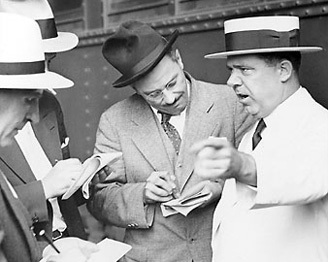 Standard Oil’s legislative allies led an unsuccessful attempt to remove Huey Long from the governorship on a variety of charges, ranging from serious to comical. He was impeached in the House but avoided conviction in the Senate. 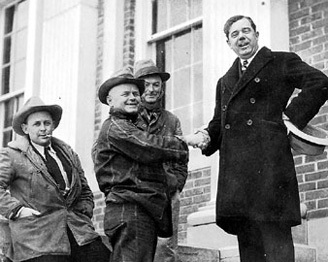 Huey Long was elected to the U.S. Senate in 1930, in a race cast as a referendum on his policies as governor. In Washington, Huey became a national force with his “Share Our Wealth” movement, which threatened to siphon Democratic support from the re-election of President Franklin Roosevelt. Huey Long was poised to run for president in the 1936 election against Franklin Roosevelt as his “Share Our Wealth” program swept the nation. Roosevelt adopted some of Huey’s ideas in order to “steal Long’s thunder,” while simultaneously moving to discredit him. By 1935, rumors of plots to assassinate Huey Long swirled around Louisiana. On September 8, Huey was shot in the State Capitol by Dr. Carl Weiss, the relative of a political enemy. He died two days later at age 42. News of Huey’s death made worldwide headlines, and an estimated 200,000 mourners attended his funeral. 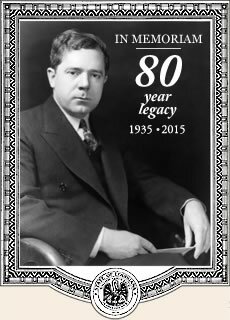 September 10, 2015, will mark the 80th anniversary of Huey Long's death. Read more recently discovered condolence letters received by Huey Long's widow. Read personal stories about Huey Long or share your own story. My voice will be the same as it has been. Patronage will not change it. Fear will not change it. Persecution will not change it. Is the story All the King's Men about Huey Long? © 2009 Louie Ludwig, All Rights Reserved. Used with permission. The following institutions provided invaluable research assistance and materials for the creation of this Web site: the Louisiana Political Museum & Hall of Fame, Winnfield, La. 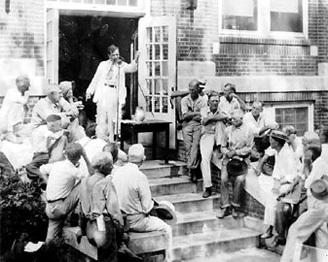 ; the Louisiana State Archives; Louisiana State University (LSU) Libraries Special Collections, Baton Rouge; the State Library of Louisiana; and the Louisiana Historical Association.